Read Chapter Five of Inner Christianity, entitled Cosmology. Copy and paste the questions below to a new e-mail, insert your answers and send to the Mystery School with the following subject line: InnerChris 5 from ___________ (Your name). 1. What need, created by scientific knowledge, does esotericism help meet? 2. Each of us is a _____________ of the universe. 3. List the correspondence between the physical and inner universes. 4. What is faster than light? 5. What does esoteric Christianity call the primal level of consciousness? 6. What is the immanent aspect of God? 7. What is the transcendent aspect of God? 8. What principle makes interaction between the Father and the Son possible? 9. What Hebrew letters (from the Tetragrammaton) represent the Father, the Son, and the Holy Spirit? 10. 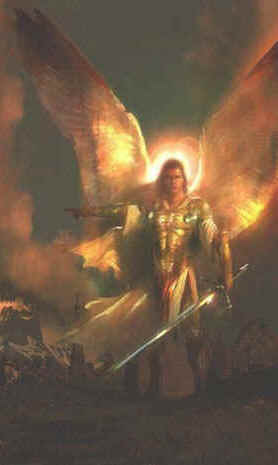 Name the nine levels of the 3 hierarchies of angels. 11. Why do ritual magicians call on the four archangels? 12. T/F The influence of the planets extends to everything on earth. 13. For the esotericist, __________ is primary; ___________ comes after. 14. What is humanity's responsibility to nature? 16. What is the linchpin of the universe? Exercise 1: Do the meditation on pages 100-102. Briefly report on anything you sensed during the meditation. Exercise 2: Do the meditation on pages 116-118. Briefly outline your experiences.